There are six species of yellow jackets native to New York & Vermont. Yellow jackets are shiny yellow-and-black wasps. They range in length from one-half to approximately three quarters of an inch. Fertilized queens start nests in the spring, in ground depressions or cavities or sometimes in hollow logs on the ground. Usually the only visible sign of the yellow jacket nest is an entering/exiting hole in the soil. The larvae are fed flies and other insects and the adults feed on nectar and other sweet liquids. Yellow jackets become a nuisance around picnic areas and garbage receptacles, where sweet things like fruits and soda cans exist. 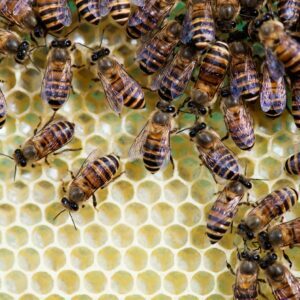 Do You Have a Yellow Jacket or Wasp Infestation? 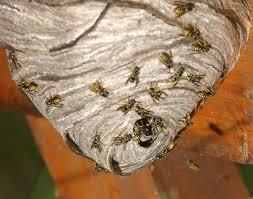 Yellow Jackets like to build their nest inside walls of homes. This can become a huge issue for homeowners, especially when homeowners try to take care of the problem themselves. If you have issues with wasps, please call a professional pest control company. Most homeowners will make matters worse and they usually drive the Yellow Jackets inward because of the type of over-the-counter products they are using. 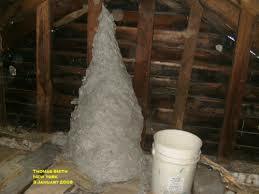 If Yellow Jackets enter a wall void or attic space in your home, you will notice a lot of activity. What you will usually see is one wasp enter the hole after another after another. 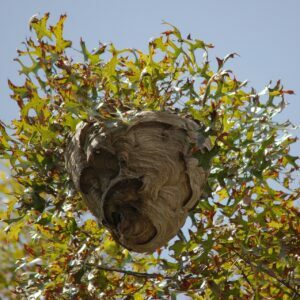 Toward the end of the season, in August, September and October, Yellow Jacket nests can contain upwards of 40,000 workers, yes 40 THOUSAND. Specialized equipment and products are used when you call a professional pest control company to remove Yellow Jackets and other wasps. We also receive a lot of calls from homeowners saying they saw a wet spot on the sheet rock and when they poked it, they went right into a wasp nest. If you notice any wet spot you should go directly outside and inspect that area of your home. Yellow Jackets are also known to nest in the ground. These species are very aggressive. If you see Yellow Jacket activity, call Nature’s Way at (518) 745-5958. 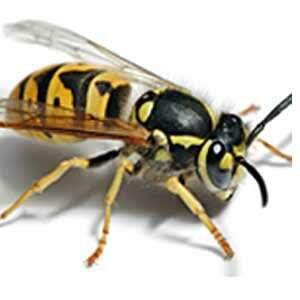 We provide Yellow Jacket pest control in Albany, Saratoga, Queensbury and as far north as Plattsburgh NY. For service in Vermont, call (802) 855-2978.